I tested this afternoon, so the result is extra light, perhaps with FMU it would be a tad darker? 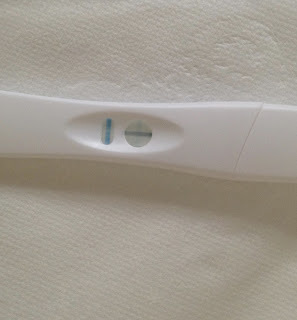 The only reason I tested this early (as you may know, I am not a POAS kind of girl unless I have symptoms to encourage me or I absolutely have to) was because my wee started smelling funny two days ago (sorry if this is TMI). I woke up the other night twice to go to the toilet and noticed a strange pungent smell (the only way I can describe it) in my wee and it resembled something I'd noticed during the very early days of my first pregnancy, but had since forgotten. It was only when I re-smelt it that it came back to me. So after that night, every time I went to the loo I kept on furiously sniffing around after peeing (gross, I know), just to see whether I'd made up the 'scent' in my head. Well, it turns out I hadn't. Apart from that I haven't really had many symptoms that I could not put down to progesterone. I'm maybe a little bit more tired than usual and my sense of smell is super heightened but that's about it. I've had a few bouts of unbelievable hunger (to the point where I once woke up at 5am to cook pasta) and a few very fleeting moments of mild nausea. Apart from that nada. Truth be told, I am just thrilled to be pregnant again. After our last failed FET I was beginning to wonder whether our one pregnancy had just been a fluke; our one good egg. It would be great to get at least a little further than we did last time, obviously preferably all the way to the birth of a healthy baby. However, I am holding on to a large chunk of realism here. We're at 6 days post transfer. We've got 4 years of infertility behind us, four failed IUIs, one failed fresh cycle and one failed FET. Babies: zero. But still, here we are, just a little bit pregnant again. It's a potentially long hurdles race ahead of us, but I'm just going to try to take it one set of hurdles at a time, however far that takes us. No point in worrying about things at this point. And at least we've got the back up plan of immune testing & treatments, if this really doesn't work out. That in itself gives me hope. If my immune system is indeed attacking our beautiful embryos, at least we may find some ways to combat it. Anyway, the next step will be trying to get a blood pregnancy test out of my GP. I've got a feeling it won't be easy, as I think they normally only provide pee-sticks to confirm pregnancy (which is fine and dandy if you're a normal preggers person and not a hyper-sensitive infertile). I may try to pull the "Oh, I went through a suspected ectopic pregnancy (that resolved itself by itself) last time" card, or just have a good ol' hysterical hormone cry in front of the doctor. Not sure whether either of the two will work, but surely it's worth a try? 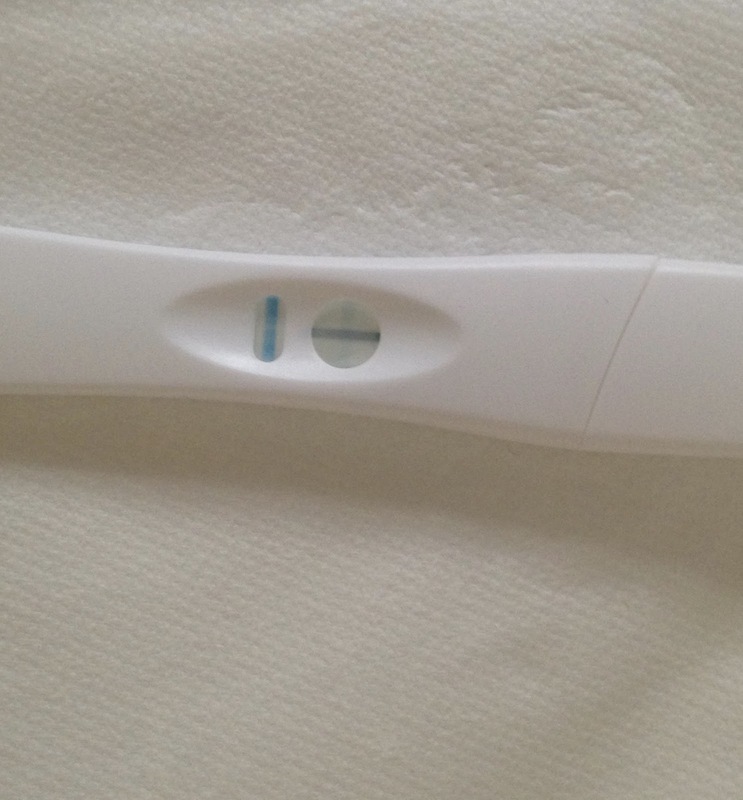 If anyone has any experience of NHS GP's and blood pregnancy tests, please give me a shout! I have gone incredibly quiet in the blogosphere and can only apologise. To those people whose blogs I read, I'm still around and reading, just don't always get a chance to comment. I apologise and will try to do better. We are approaching our next FET and tomorrow is the D-day, or should I say T-day (for 'transfer'). -This round is on us (or 'self-funded' as the clinic likes to call it) so we'll have to cough up £1,200 plus meds, which truth be told is much, much cheaper than I'd expected. -The prep for this FET has been dead easy (and identical in terms of meds to the previous one). A week of nasal spray (Suprefact from 26/12/15), then approx three weeks of 6mg of oestrogen tables together with the spray (from 01/01/16) and then adding progesterone suppositories from 19/01/16 onwards (coupled with the oestrogen pills) up until pregnancy test (date of which TBA). -We'll be transferring two embryos as we no longer are categorised as high risk for a twin pregnancy after two failed cycles (and thanks to my advanced maternal age). -I've been diagnosed to possibly have some clotting issues, ie. (APS) or antiphospholipid syndrome. Full diagnosis would have required a follow-up blood test, but my doctor just recommended some extra meds (name of which escapes me), which I will be starting tomorrow. -If this round fails I am going to look into getting some immunity testing done. I loath the thought of spending such amounts of money on something that isn't really scientifically recognised yet, but having managed to produce eight 'high quality' blasts I struggle to understand how we have failed to get pregnant yet, unless there are some other as yet undiagnosed issues underlying. -I have tried to boost my uterine lining this time around by drinking min 250ml of pomegranate juice daily since starting the oestrogen tablets and it seems to have worked - the nurses pronounced my uterine lining 'textbook perfect' at the scan on Tuesday. Textbook perfect uterus prepare to receive your new guests and please, please remain hospitable for the next 8 or so months! !